For the third Wax Idols full-length American Tragic, Hether Fortune conducts a personal exorcism, mating themes of heartbreak and desolation with an aggressive take on pop. Remaining static is not in her vocabulary, and the journey from the garage goodness of No Future to the assured post-punk of Discipline + Desire takes another left turn here. The combination of an ever-searching musical personality with her IDGAF side makes for compelling listening as she confronts doubters, haters, and romantic conflict – emerging, as always, bloodied but unbowed. Self-reclamation is a major theme of the record, and Fortune compliments it by stretching her boundaries, incorporating a feisty rap in “Deborah” and fielding her own spin on the girl-group sound on “Goodbye Baby,” a tune Ronnie Spector would be proud to call her own. At polar ends of the album are the irresistible “Lonely You” and the percolating “At Any Moment,” which scans like a victory lap after the psychic mountains climbed. 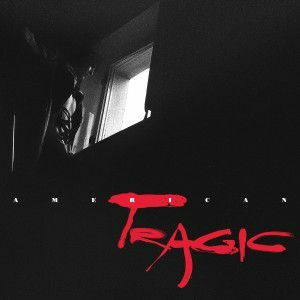 Masterminded by Fortune, who played and sang everything, except for the aid of live band drummer Rachel Travers, American Tragic stands out in a year crowded with quality releases as a welcome antidote to all the empty art pop.